Description WAS $17,995, PRICED TO MOVE $200 below NADA Retail!, FUEL EFFICIENT 33 MPG Hwy/22 MPG City! Hubler Q Certified, LOCATED IN SHELBYVILLE! CALL TODAY 317-392-4101, ONLY 27,963 Miles! Sunroof, Heated Seats, Alloy Wheels, Dual Zone A/C CLICK ME! iPod/MP3 Input, Keyless Start, Dual Zone A/C MP3 Player, Onboard Communications System, Aluminum Wheels, Keyless Entry, Remote Trunk Release. CADILLAC USER EXPERIENCE (CUE) AND SURROUND SOUND includes (TG5) single disc CD player, (U2M) SiriusXM and HD radio, (IO5) CUE Information and Media Control System and (UQS) Bose premium surround sound 10- speaker system, SUNROOF, POWER, SEATS, HEATED DRIVER AND FRONT PASSENGER, ENGINE, 2.5L I4, DI, DOHC, VVT (202 hp [151 kW] @ 6300 rpm, 191 lb-ft of torque [258 N-m] @ 4400 rpm) (STD), TRANSMISSION, 6-SPEED AUTOMATIC (STD). Cadillac Standard RWD with Radiant Silver Metallic exterior and Jet Black w/Jet Black Accents interior features a 4 Cylinder Engine with 202 HP at 6300 RPM*. SERVICED HERE! Non-Smoker vehicle, 2yr/100,000 POWERTRAIN WARRANTY! LOCAL TRADE-IN! JUST ARRIVED. BETTER HURRY! Edmunds.com explains ". the Cadillac's contemporary interior design and touchscreen control interface stand out from the competition. 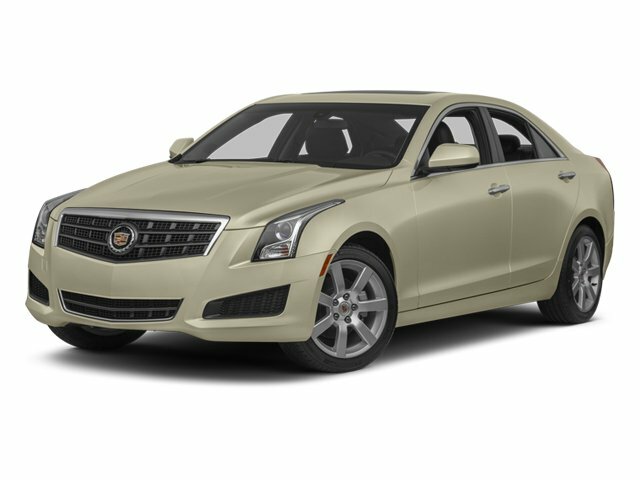 The ATS is also one of the best handling entry-luxury sedans out there. ". Great Gas Mileage: 33 MPG Hwy.